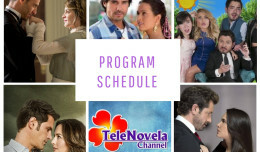 Passion: Episode 34 | TeleNovela Channel - Bringing you closer to lifes drama. Ricardo asks Paisana to find out who stole his treasure. Meanwhile, Ursula gets furious when Vasco tells her that he will marry Ines while Lisabeta confronts Camila about marrying Ricardo.